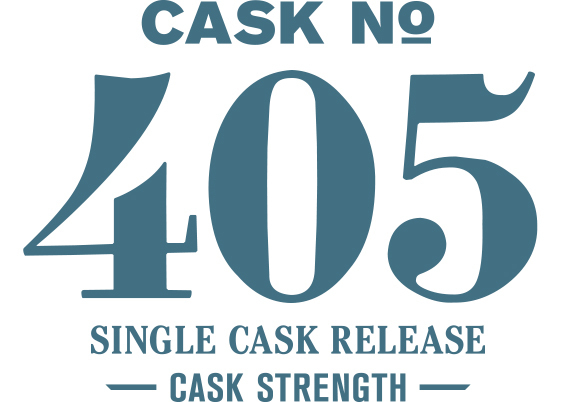 This single cask whiskey is a unique one amongst the others in our Single Cask Series. It was distilled from low wines that did not include any tails, resulting in a markedly fruit-forward spirit. Barreled at 125 proof instead of our standard 110 proof, it offers a more pronounced oak character as well. The nose and palate are both incredibly fruity. It begins with tart cherry, cocoa butter, fresh dill, french vanilla ice cream, coconut, pineapple/mango, peanut oil and fresh cut oak. The palate adds lively tropical fruits, toasted oak, orange candy and spice cake.